Chennai is seeing some of the worst rainfall and subsequent floods in over 100 years. India has been experiencing record­ breaking rains and flooding since early November. Beginning on 1 December. Over 200 people have died and over 200,000 have been displaced, over 5,000 roads are flooded, uprooted trees and brought down power lines, there is no food or electricity some areas. The total cost to the local economy is still being calculated and many experts suspect that the total impact will run into the tens of millions of dollars. Though local businesses and infrastructure have been critically damaged, the foundations of houses fallen limbs and trees smashed cars and roofs all across city. Unlike donations to national organizations that can take months to begin distributing funds, your support to us will have an immediate and substantial impact in city. With your help, our team can feed families who have lost everything in the flood, give them a warm place to stay and help rebuild the landmarks that make of our city. A donation of 1000 rupees will help to provide KIT for 1 family. A donation of 5000 rupees will help to provide KIT for 5 families. A donation of 10000 rupees will help to provide KIT for 10 families. A donation of 20000 rupees will help to provide KIT for 20 families. Any amount you decide to donate will be very much appreciated and will make a huge difference in the lives. Together, we can restore of our city to the place that we all know and love. 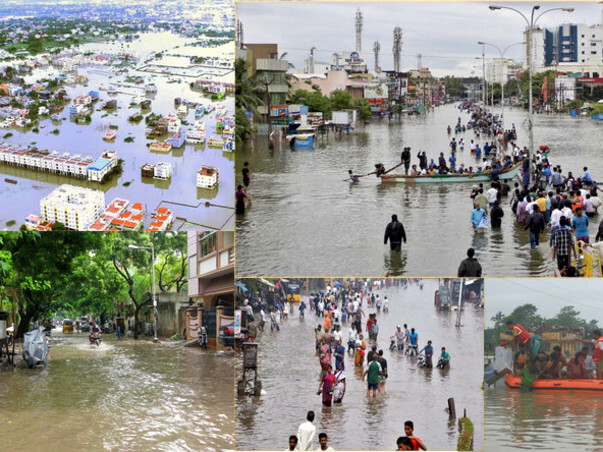 Kits will distribute to affected by floods in Chennai with the help of friends local NGOs and volunteers. We'll keep you updated about how the funds are utilized.